A couple of months ago, Sean Butler wrote an excellent piece on the Spundge blog explaining the value of Content Marketing, even for businesses that are not media-oriented. I loved this quote in particular: “Content marketing is a playground of ideas within which businesses can operate at low cost and high benefit”. Content Marketing has torn down the barriers. All of a sudden the little guys can compete with the big corporations. In days gone by, big budgets secured big advertising space and the little guys got crushed. Whilst a big budget still helps, the ability to create – and curate – awesome content enables anyone to enhance the visibility of their business or brand. But of course it’s not just the Content that enables this. You can create the best content in the world, but if it’s hidden in the darkness where nobody can find it, it’s worthless. The real power lies in the ability of the World Wide Web to spread your content globally at the press of a button – as Jay Baer puts it “content is fire, social media is gasoline”. However, as anyone running a small business knows, a normal business day generally means it’s all hands on deck just to keep the everyday business matters running smoothly – time is a very precious resource. This brings with it a couple of challenges when trying to make your Content Marketing sing. (1) How do you grow your network so that your content can reach your target audience? The answer to this lies in the ability to utilise the networks of other people in your market – influencers. You need to find out where your target audience resides in the digital world – which platforms, forums, blogs, magazines, etc., and then work out a strategy to reach them. You can grow your own network by actively working on your social media networks. Liking Facebook updates, connecting on LinkedIn and Google+, following on Twitter and commenting on blogs. But this all takes time and only really shows returns in the medium to long term. The reach of your own network of contacts simply won’t supply much “gasoline” in the short-term. So, as you build your own network, you can learn who else has influence over your target audience. Who are the thought leaders? Who has the most vibrant discussions? And the place where they are most likely to show off their expertise and host their discussion is on their blogs. Which is why finding and reaching out to influential bloggers can greatly enhance the power of your messages. Yes, this still requires an investment of time, but the rewards are based on a much bigger multiple than just relying on your own network. Bloggers need to be treated carefully and personally, but they are human beings. For an overview of how to do it well including lots of quick tips, check out our best practice guide. And the additional benefit of doing blogger outreach well is that by growing your own credibility via the influencers, you grow your own network so that over time your own marketing power increases too – it’s win/win. (2) How do you find the time to keep creating great content? The second challenge for small businesses is how to keep creating great, relevant content? My answer: you don’t have to (or at least not every week!). You can use content curation to demonstrate authority. Yes, to establish credibility it is necessary to demonstrate understanding and expertise yourself and to present this coherently in your own content, but you can supplement this by using the content of other people in your field. How? – you can curate it to share with your network. As an example, I have a “Blogger Outreach” Notebook in Spundge. 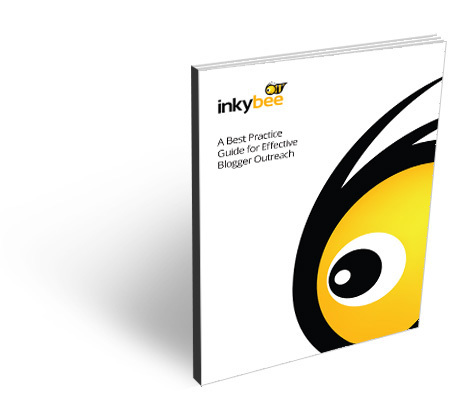 I use this to curate all of the best material on the Web on blogger outreach, I extend my network via the people that follow and share this notebook and I also embed this network in Inkybee so that users can immediately access these resources. I also follow other Notebooks including “Online Influence Optimization” and “Public Relations and Communications: More Important than Ever”. A daily scan of these shows me what people are talking about in the things that matter to me. And if it’s good stuff, I regularly re-share it across social media. It’s quick and easy, it keeps me informed and I can increase my credibility in my space by sharing other people’s great content. 2) Curate the best content in your sector to share across your networks. And if you love what you do, these actions are not only essential to staying ahead of the curve, they are educational, social and fun. NOTE: A version of this post was originally published on the Spundge blog here.